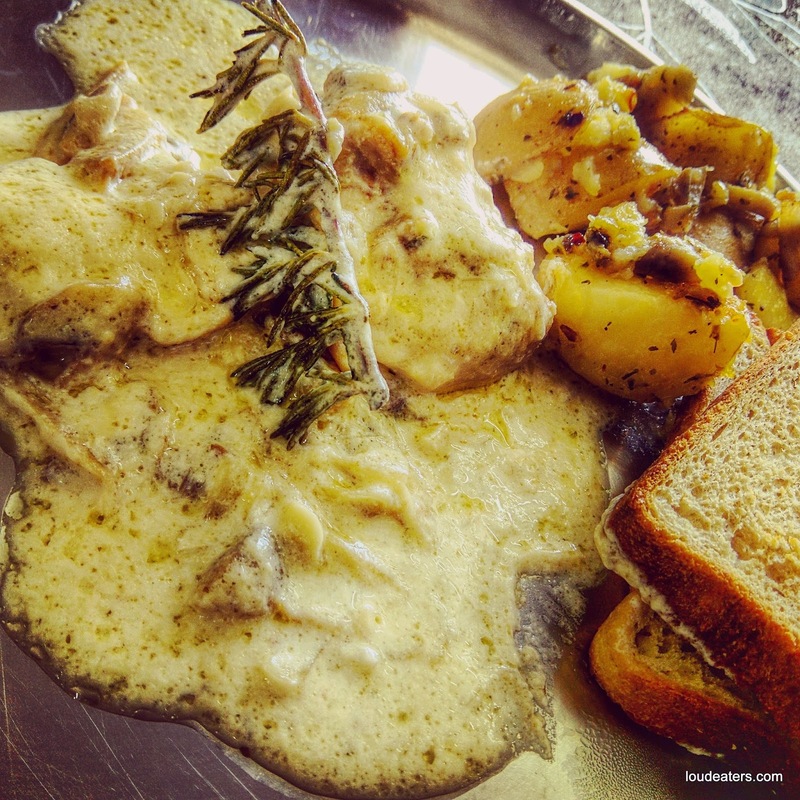 Guest post- Excel sheets to pan fried chicken in mushroom cream sauce! Paras Narvekar lives to eat! When he is not working on mind boggling numbers and excel sheets, he is hunting for food. Whether it's a new restaurant in town or his own fridge, the hunt never stops! Remember, he was the one to inform us about the food truck in Mumbai on instagram ( instahandle:@ilive2eatndrink ) So the other day he sent me this picture on WhatsApp and mentioned that it was easily the best chicken he ever made. Pan fried chicken in mushroom cream sauce! Now how could I not share the recipe with you guys? 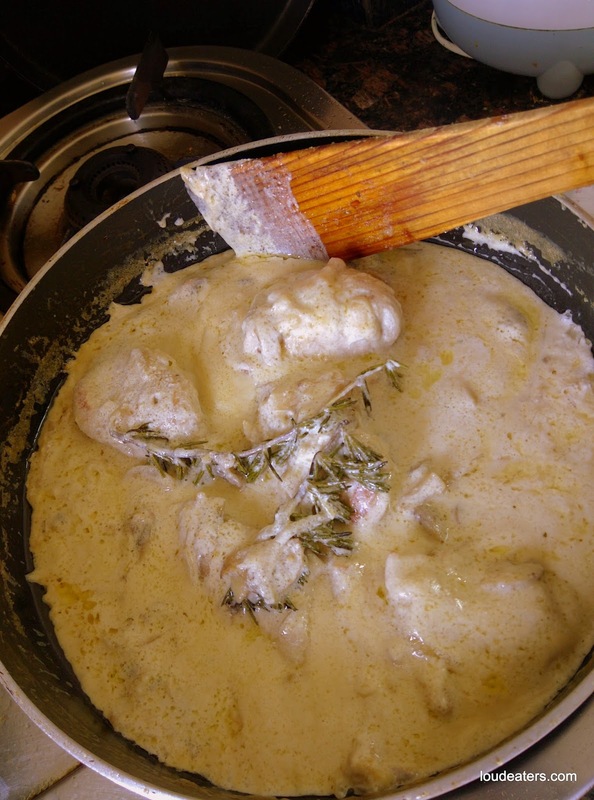 So presenting Paras Narvekar's special- Pan fried chicken in mushroom cream sauce. All fancy stuff for your weekend lunch :) Thank you Paras for writing this guest post complete with pictures and sharing your love for food. Cook it up like this! 1. Heat the oil in a large non-stick frying pan. Rub on some ginger garlic paste on the chicken pieces and fry the chicken pieces for 5 mins until golden brown on both sides, then transfer to another dish to drain the oil. 2. Place the chicken in another pot and pour the stock over it. There should be enough stock to just cover the chicken, if not add a little water. Bring stock to the boil and cover, leaving lid slightly ajar. Cook at just below simmering point for 15-20 mins until chicken is cooked. 3. 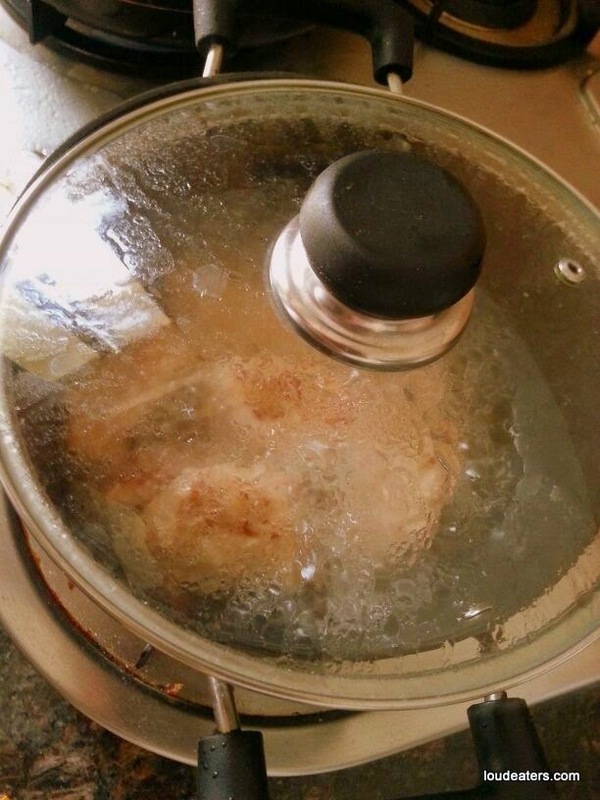 While chicken is cooking, drain oil from the pan. Heat the butter in pan and add onion and garlic. Cook the onion for 5 mins until soft, but not coloured. 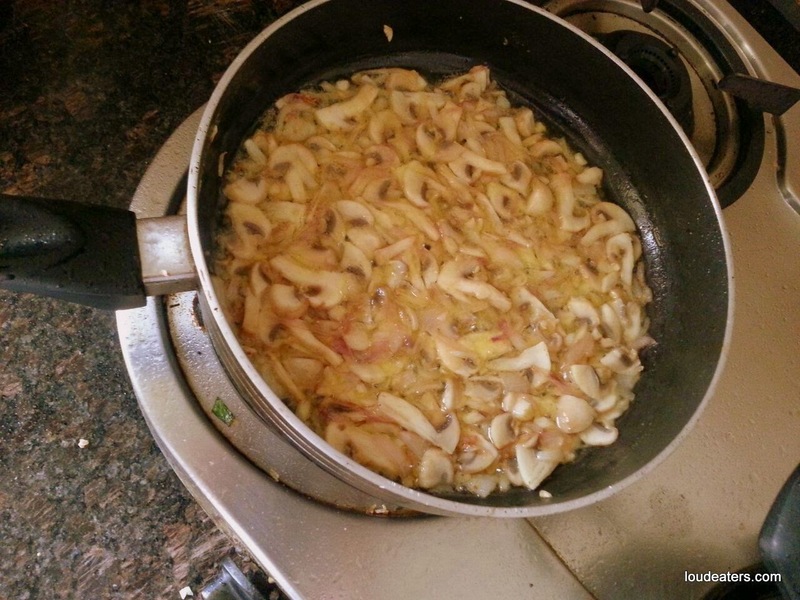 Turn up the heat, add the mushrooms, then fry for 3-4 mins until they soften and start to smell wonderful. Pour the wine and raise the heat to maximum and boil rapidly for 6-8 mins until reduced by two-thirds. Turn off the heat and leave until chicken in the other pot has cooked. 4. 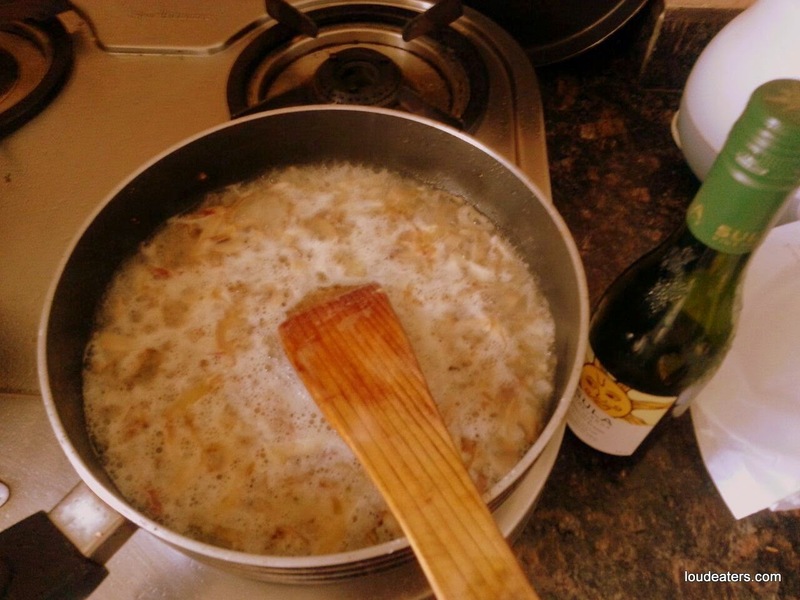 Once the chicken is cooked, strain stock into pan with the onion, mushrooms and white wine, bring back to the boil and reduce again by two-thirds until it is thick and syrupy. Pour in the cream and the add the rosemary, bring it to the boil and add some salt. Add the chicken and heat it through in the sauce for 2-3 mins then turn off the heat and leave for a few mins before serving. This is such an aromatic and beautiful looking dish you should serve it straight from the pan with the lid on.